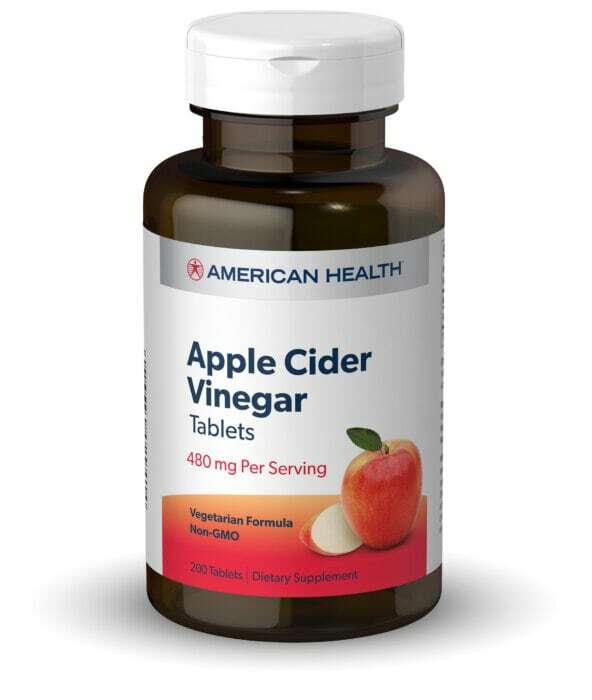 Apple Cider Vinegar Tablets, 200 tablets (American Health) - Penn Herb Co. Ltd.
Apple Cider Vinegar tablets are a great choice for fitness enthusiasts and those following healthy eating plans. Cider Vinegar has been traditionally used to purify and cleanse the body and makes a perfect addition to your nutritional wellness program. Get all the benefits of pure Apple Cider Vinegar without the tart taste! Each serving is equivalent to 1 teaspoonful of pure Cider Vinegar. For adults, take 2 tablets one to three times daily, preferably with a meal. IF YOU'RE PREGNANT, NURSING OR TAKING MEDICATIONS, CONSULT YOUR DOCTOR BEFORE USE. DISCONTINUE USE & CONSULT DOCTOR IF ANY ADVERSE REACTIONS OCCUR.